In 1995, Sherrie founded Travers & Travers in Katy, Texas following a successful teaching career. 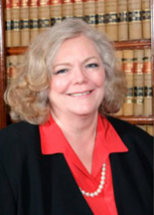 Sherrie is board certified in family law by the Texas Board of Legal Specialization. She specializes in complex family law matters, including issues of divorce, property characterization, child support, and issues involving children. Sherrie is also an experienced mediator and collaborative law facilitator.